Alexander also demonstrated an ability to analyse the evolving circumstances that the Afghanistan region presented, and changed the organisation of the army to deal with the new threat of guerrilla warfare. Alexander’s sense of timing during his set-piece battles was also remarkable. The timing of his decisive cavalry charge was always immaculate, and the result devastating. He had a genius for analysing a situation and instantly making a judgement of what was needed. His set-piece battles are analysed in my forthcoming book The Field Campaigns of Alexander the Great. I touched on this in an earlier point, but Alexander showed throughout his career an amazing ability to adapt to changing situations and circumstances. He essentially used a relatively small number of successful tactics and tactical ideas, but these were constantly being adapted and modified as circumstances changes. Alexander’s fundamental tactic was to attack in more than one direction simultaneously. We see this in his set-piece battles where he times his attacks so that the Companion Cavalry strike the flank of the enemy infantry at the same time the heavy infantry attack from the front. The battle of Issus – depicted on the Alexander sarcophagus – is a perfect example of this; this battle is a series of brilliantly executed flanking manoeuvres. We also see this during his many siege operations. At Tyre, Alexander attacks from the mole, but also had artillery, siege towers and scaling ladders mounted on ships so the fortress can be attacked from multiple directions. This happens at Gaza too, where the city is attacked from all directions to distract from the main thrust of the assault. 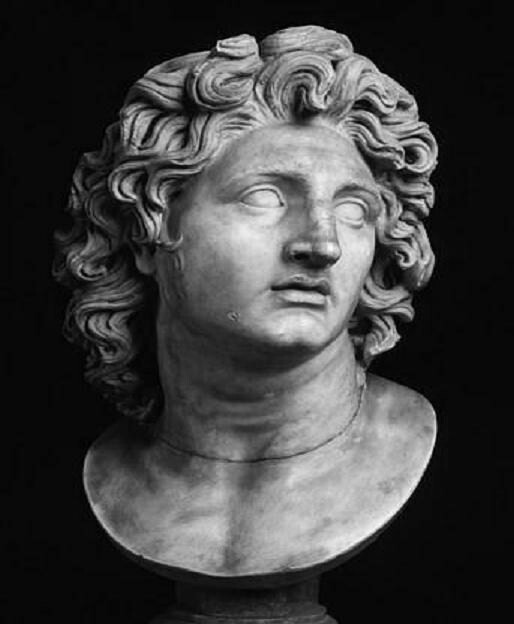 Alexander’s sub-commanders are a remarkable array of talented individuals, many of whom became kings in their own right after Alexander died and his empire was broken up. These successors, the so called diodochi, included men like Antipater, Ptolemy, Seleucus, Antigonas, Perdiccas and Lysimachus and Cassander. Any successful general required his subordinates to have some measure of ability. He needed his orders to be conveyed to the rank and file, and he needed them to be carried out. This would not have happed with a rather less talented bunch. There is no question it helped Alexander to have commanded such a talented group of individuals, but the question for another day must be: would these men have been kings and statesmen without Alexander? We will never know, but their careers were certainly helped by the Great Macedonian. We hear very little about the Macedonian logistics system in the sources, but we know that it was very good because we also hear of very few instances where it failed and the army struggled. The baggage train, which the Macedonian army could not have done without, was kept to a minimum size during Alexander’s early career, following reforms by Philip. This enabled the army to move rapidly and strike without warning. It also meant that the army could move quickly from region to region without exhausting the resources of any area. The main example of the failure is the march through the Gedrosian desert. Many died of thirst or hunger during the march. The army and the logistics system were simply not prepared for this environment. This is an example of Alexander’s stubbornness getting the better of him. Apart from the (usually) excellent supply of food and water, we hear almost no examples of a lack of horses, weapons or armour. The only possible hint of difficulties is in India when the army rebelled against the prospect of further conquest. This is a concept that we usually associate with the German army of World War II, and the changes that Heinz Guderian introduced. In the most basic of terms it revolved around rapidity of movement and the concentration of force. Alexander was its first exponent in history. 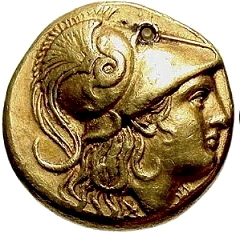 The Macedonian army under Alexander was capable of remarkable feats in terms of their rate of march. They frequently exceeded 30km per day, and could keep this up for several days allowing them to arrive at a battlefield long before they were expected, and before the enemy was prepared. When news reached Alexander that Thebes had rebelled, he was in the Balkan region, having recently captured Pellium. He marched 390 km in 13 days to arrive at the walls of Thebes before they had properly prepared their defences. This is a remarkable rate of march, but when we consider the mountainous terrain of the Greek mainland, it is even more amazing. During the brief siege, the troops showed no signs of fatigue, either. Alexander had remarkable personal charisma; he had an almost superhuman ability to inspire his men to ever greater pinnacles of achievement. He led an army from the Balkans to the heart of India before they showed any major signs of discontent. When they left Macedonia in 334, many did not return home, and those that did had been away for 10 years or more. Alexander’s ability to inspire his men is one of his most admirable qualities. He did this in a number of ways; certainly he made speeches before battles, all ancient commanders did, but more than this he made a point of leading from the front. He never expected his men to undertake any dangers that he was not prepared for himself. He was the first over the wall at the siege of the city of the Mallians, for example. He also made a point of trying to remember the names and achievements of some of his rank and file, and to comment to them whenever he had the opportunity. This is a tradition that was carried on during the Roman period and became the hallmark of a good general. Anyone who is successful in any field needs luck, and Alexander was no exception. He is certainly lucky to have survived as long as he did; he was wounded by almost every weapon of war available to the ancient world, and came so very close to being decapitated at the battle of the Granicus in 334. He is also lucky he had Philip for a father, and that he inherited the finest war machine the world had yet seen. Xenophon’s march to Cunaxa had demonstrated that the Greeks were capable of defeating the Persians, if only someone could unite (or conquer) the Greeks long enough to do it. Philip looked like he could have been that man, but in the end Alexander was the one to finally bring down the Persian Empire. Alexander’s career represents a remarkable nexus of events rare in history. He was exactly the right man in the right place at the right time, and he grasped his opportunity for immortality. Stephen English is the author of ‘The Army of Alexander the Great’ , ‘The Sieges of Alexander the Great’ and ‘The Field Campaigns of Alexander the Great’. Thank you Rebecca. Have you ever read Stephen English books? There has been no leader like Alexander before or after him. One of my favorite things about Alexander The Great was his interaction with Diogenes of Sinope, I simply adore the story. A very enlightening read. I certainly look forward to a taste of ancient history on a regular basis, and on Alkexander of whom I certainly know more now than I did before turning the computer on this morning.